The Governors always look forward to meeting our children, parents and carers and intend for at least one of us to be present at all formal and informal school events. We aim to support the school in its ambitions to ensure the best possible educational experience for all children. Any correspondence for the Governing body can be directed to the school office and will receive our prompt attention. I am a children’s Speech and Language Therapist working in community clinic, schools and Early Years settings. I have a particular interest in children’s experience in the Early Years Foundation Stage as the basis for all later education. I live in the village and have been a governor at Radcliffe-on-Trent Infant & Nursery School since 2000. My two children attended the Radcliffe schools. Pete is Head of Licensing, Permits and Regulations in Nottingham Community Protection. Pete was a Parent Governor who was persuaded to take a longer standing role in the Governing Body by becoming a Co-opted Governor. I have lived in Radcliffe on Trent all my life, married with one child who is currently at the Infant and Nursery School. I am qualified FCCA accountant working with a mix of organisations from the self employed to charities, corporate bodies to quasi government departments, spending over 12 years working for a large accountancy firm and now running my own accountancy business in Nottingham. With my accounting back ground I bring experience of budgeting, financial reporting and analysis to the school, in particular I have been working with a charity organisation within education whereby I have gained an understanding of some of the funding for schools, for example, EFA/DFC and LCVAP. I am keen to get involved and support the school, working together with the governors as a team, utilising my skill set to the benefit of the children both now and in the future to ensure they receive the best education. What free time I have, I enjoy spending time with family and friends and learning Spanish. I have lived in Radcliffe since 1979 where my three children were brought up and attended the local village schools. I was previously a governor of the Junior School for 20 years, a parent helper at Woodcraft Folk and a founder member of Radventures, the local group that promotes touring arts events in the village. I recently retired from Nottinghamshire County Council Children’s Services, where I was Head of Early Years and Childcare Services. I am a member of Radcliffe Parish Council where I am keen to support amenities for children. I believe that quality schools play a tremendously important part of family and village life. Jackie has worked in education for 38 years. The last 24 years at Senior Leadership level. Whilst based in Nottingham City, Jackie has been associate Head, and Headteacher working in school improvement in Walsall and Nottingham City. 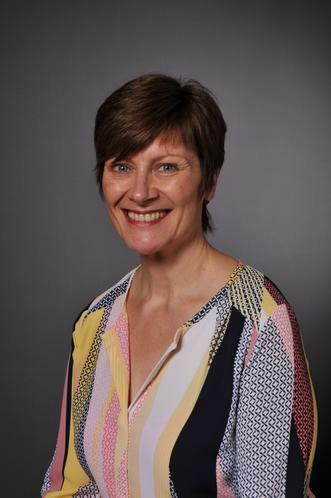 Working for a MAT specialising in turning around schools deemed to be failing, Jackie has been Executive Principal of a 3-19 all through Academy and Executive Principal for academies in Northampton, Derby and Luton. I have lived in Radcliffe on Trent for 12 years with my husband and 2 boys, and have taught at the Infant and Nursery School since 2009. Before teaching at the Infant and Nursery School, I worked for 12 years at Hempshill Hall Primary School in Bulwell, where I taught lots of different age groups from year 2 to year 6. I was the curriculum leader for PE and Humanities across 3 Key stages and was also actively involved in organising the staff pantomime for the children each year! I am currently the Deputy Head teacher and Foundation Stage Leader and teach in Reception ( 3 days a week). I am the SENCO, SMSC leader, Outdoor Education leader and am involved in running the Pupil Council, choir and gardening club, which I love. I have been a member of the governing body for 5 years. I grew up in Nottinghamshire but moved to Radcliffe five years ago to bring up a young family. My eldest daughter is in Reception and the youngest will start nursery next year. I am currently an infant teacher at a large primary school in the city where I am part of the Senior Leadership Team as KS1 manager, Literacy leader and mentor for trainee and newly qualified teachers. I previously taught in East London and more recently in Ghana. I am passionate about infant education and believe the curriculum should be enjoyable, broad, balanced and academically challenging. I enjoy spending time with my family exploring the outdoors both locally and further afield. I’ve lived in Radcliffe since 2010 and over those years have grown in to a member of our lovely village community. I’m a mum of two boys both of whom attend the school. As an Ofsted rated outstanding mathematics teacher, I have experience in improving the quality of teaching across Nottinghamshire, raising reading ages via various bespoke programmes, and organising an enriched out of hours curriculum and hope to use these skills in the role as Parent Governor. As well as being passionate about maths and education, I love music – both playing and listening – and have a rather eclectic taste. I also enjoy piloga and Zumba, and am an active member at St Mary’s Church. I have enjoyed living in Radcliffe since 2015 with my wife Helen and 3 young boys. I hold a Business Degree and have spent most of my working career in Commercial roles within industry. I am also a qualified management accountant, so it’s fair to say I know my way around a spreadsheet! In my spare time I love to listen to live music and play football. I am passionate about contributing to improve our local community and have enjoyed being part of the dedicated team of governors. My name is Nikki Farnsworth and I am a Parent Governor. Before motherhood I was an Assistant Headteacher at a large Secondary school in the city. I am passionate about working with young people and in ensuring that we provide all children with every opportunity to achieve, learn and enjoy their time at school.